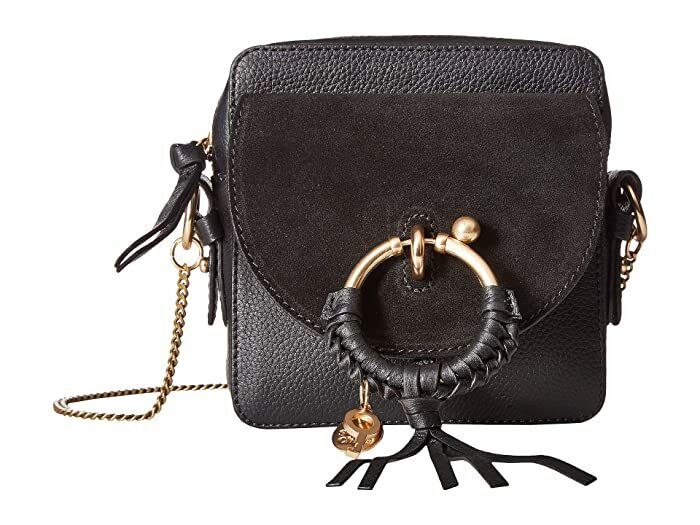 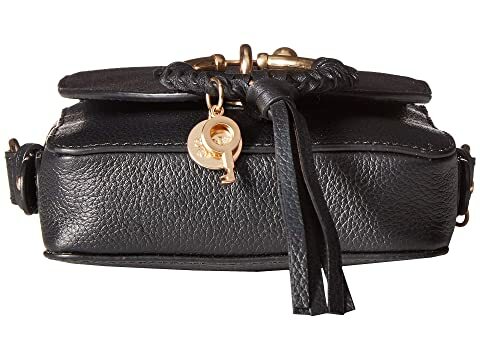 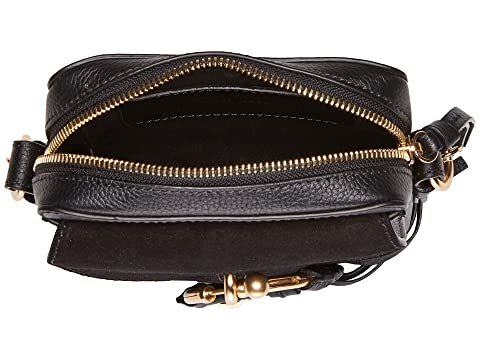 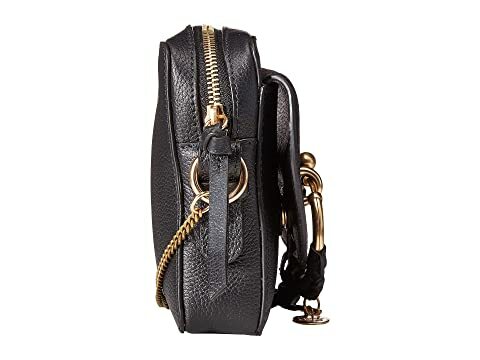 Greatness can arrive in small packages carrying the See by Chloe™ Joan Mini Camera Bag. 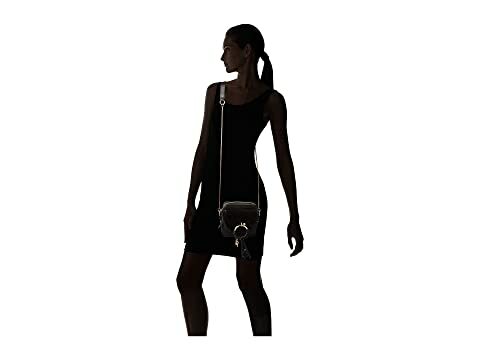 Attached chain link crossbody strap. 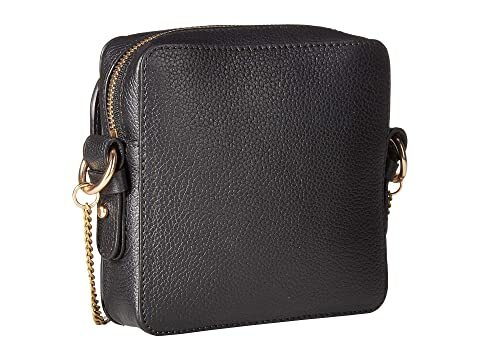 Front exterior flap pocket with magnetic snap closure. Decorative ring and brand name charm at front.